Welcome to Heaven! Alright…welcome to Pebble Beach but this is certainly as close to Heaven as anything on earth! Pebble Beach, California is a world-renowned destination, and for a very good reason…it is located on the most stunning coastline of Central California; it offers mild weather year-round; and it has the distinction of being the only gated city in the world ~ to say that this is an affluent community would be a serious understatement. The great news is that you don’t have to be the inventor of the Quarter Pounder, an Astronaut, Dirty Harry, or even Charles Schwab (all residents of this community at one time) to enjoy the magnificence of this area. Within the gates of Pebble Beach, you will not only find the exquisite homes along the 17-mile drive but you will also find three luxury hotels (The Lodge at Pebble Beach, The Inn at Spanish Bay and Casa Palmero all managed by Pebble Beach Resorts), a Forbes Five-Star Rated Spa, an Equestrian Center, numerous high-end shops, a grocery store, gas station, post office, and oh yes, that famous golf course ~ the Pebble Beach Golf Links (actually, Pebble Beach boasts numerous public and private golf courses). On this visit I stayed at Casa Palmero, a 24-room Mediterranean-style private estate located just steps from The Lodge and overlooking the first and second fairways at Pebble Beach Golf Links. The estate is quite discrete from the street and could easily be missed if you weren’t looking for it. Lush foliage and large palm trees disguise the stucco wall surround but once you make your way through the stately pillars you enter into a beautiful and unexpected oasis. Once a private residence built circa 1927, the property was transformed to a hotel in 1999 as an option for the discerning guest looking for a little more privacy and seclusion. The estate offers a cozy atmosphere and evokes the feeling of being an invited guest at someone’s private villa rather than a visitor at a hotel. Every inch of the property has been landscaped to perfection and exudes all the charm and character one would expect from a Mediterranean villa. The stone walkways lead you by manicured boxwood planters, climbing ivy, and colorful plantings. The property is layered with carefully thought-out details such as scrolled iron gates, rustic wooden doors, ornate statuary and the sound of trickling water from the fountains. 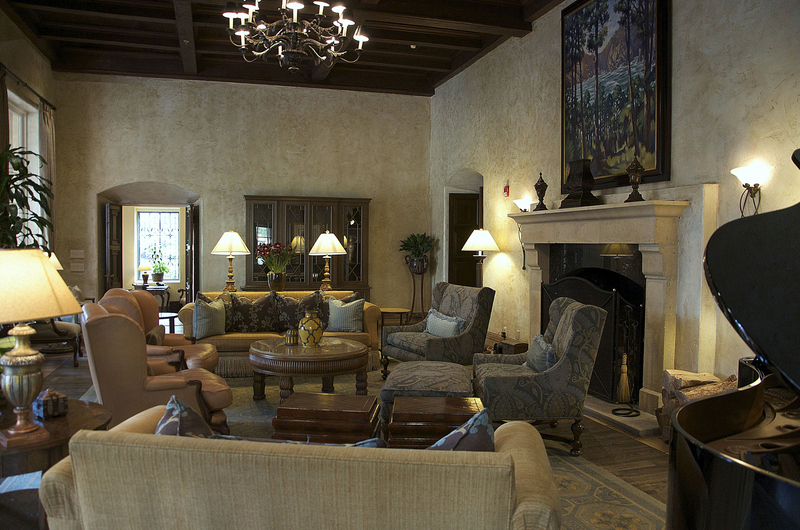 Cozy sitting nooks are scattered throughout the property for a little alone time or a nice chat with your favorite someone. There’s nothing more welcoming than receiving a warm and friendly greeting upon arrival. Before I could even shift into park, I witnessed several staff members walking towards me. As I got out of my car, I was greeted by name and immediately made to feel welcome. The friendly staff inquired about my trip and began informing me on all that the hotel had to offer. After a quick review of my paperwork, I was given a tour of the grounds and escorted to my room. Something that I found refreshing was being told at check-in that all tipping is already included and factored into the bill. Any additional tipping throughout your stay is at your discretion. Quite honestly, this is common at many luxury resorts now, they just don’t make a point of telling you. Kudos for being forthright! The main residence is used as the communal area for all guests. A large living room with a gorgeous wood-beamed ceiling and an oversized fireplace offers a comfortable space to sit and relax or mingle with other guests. If you do like to mingle, a great way to connect with the other guests is to attend the complimentary Happy Hour each evening located in the bar, a gathering space for the guests. You have your choice of any libation, including alcoholic beverages, and a delicious variety of finger foods including such items as sushi, shrimp, crackers, cheeses, veggies and much more. It served more as a Tapas style dinner for me. And for a little fun, how about a game of Pool in the adjacent Billiard room? Large french doors open up from the living room to the central courtyard and pool beyond. The courtyard is a great spot to hang out after grabbing your favorite smoothie at the Juice Bar and to take in the beauty of this estate. The main building also offers a large private room for small gatherings or business meetings. The property consists of 24 rooms with some being located in a two-story building. 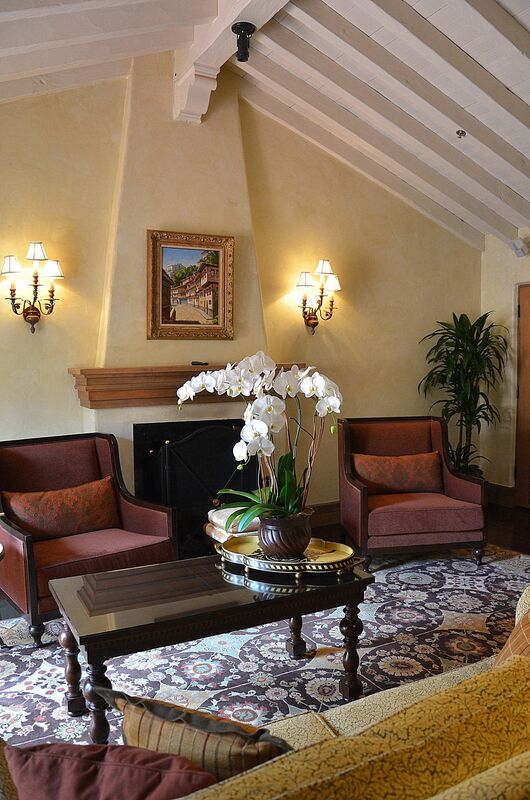 There are five different categories ~ Estate Room, Estate Studio, Spa Room, Courtyard Suite and the Palmero Suite. Although Casa Palmero is located near the water, none of the rooms offer an ocean view. The second floor rooms do offer some fairway views and the lower units are completely designed with privacy in mind. I have to add that as much as I am a lover of an ocean view, I didn’t miss it here. Somehow the quaint charm and seclusion of this Mediterranean estate felt perfect to me. All the rooms are spacious and designed with a distinct Mediterranean style in rich colors of burgundy and gold. Each room has a wood burning fireplace with a seating area, a large desk, along with a roomy bathroom area, soaking tub and separate shower. The rooms are equipped with a small refrigerator, coffee station, and minibar. The minibar offers complimentary snacks and non-alcoholic beverages that are replenished daily. There is a separate bar with a selection of alcoholic beverages which does incur a fee. For your ultimate comfort, each room offers free wifi which I found to be available throughout the resort, cozy robes, slippers, hair dryer, umbrella and their own luxurious Spa Collection brand bath amenities. 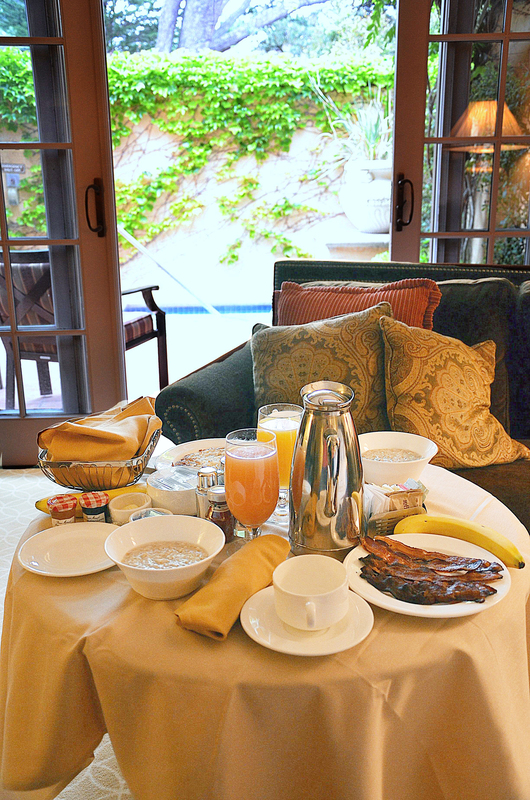 As an additional perk, breakfast is included and delivered to your room each morning. Estate Room/Studio: The main difference between the Estate Room (585 sq. ft.) and Estate Studio (703 sq. ft.) is that the Studio is a little larger allowing for a small dining table in the room. These rooms are largely located on the second floor overlooking the first fairway. Spa Room: This room has the same footprint as the Estate Room (585 sq. ft.) with the main difference being that these rooms are located on the bottom level and offer a small private patio with a whirlpool spa. There are no Spa Rooms on the second floor. Some Spa Room locations might have upper rooms that can look down onto your patio, however, there is a trellis for an added element of privacy. Courtyard Suite: This category is a larger version (832 sq. ft.) of the Estate Studio. Located on the lower level, it has a private garden entrance and outdoor spa. Palmero Suite: There is only one Palmero Suite (1,268 sq. 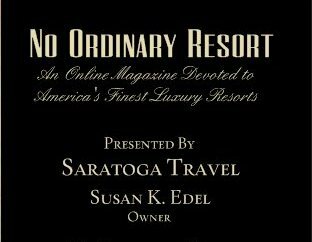 ft.) so if you are looking for the ultimate in luxury on this property, be sure to request this suite. You enter through a private garden patio and then step into a spacious living room with a wood-beamed ceiling, wood burning fireplace, wet bar, flat screen TV and a guest powder room. A separate bedroom has a four-poster bed, chaise lounge along with an adjacent seating area with a desk, plush chairs and a fireplace in perfect view of the bed. From this room you can step out to a small patio with an outdoor spa. On a personal note, I stayed in Spa Suite #636 and found my room quite spacious and comfortable. I enjoyed the open concept of the large bathroom open to the to bedroom and being able to see outside from any point. I found the bed and linens so luscious and indulgent that I didn’t want to get out of bed in the morning. It was also a relaxing treat to have a whirlpool spa all to myself. I also want to mention how wonderful the service is here. When I called one morning to say that I was leaving my room and could housekeeping clean it while I was gone, I hadn’t even placed the phone on the hook when housekeeping knocked on my door. That’s impeccable service! I don’t really think you can get a bad room here but if you can stay towards the middle section of the resort, I would call that the best location. There are some end units that are located by the Spa and a parking lot where deliveries are made and I could see the top of the delivery truck from the bottom unit but it was a minor and temporary distraction. My unit was in the middle section and I could only see the beautiful trees above my privacy wall. It was very pleasant. For the file, Casa Palmero does not allow pets. 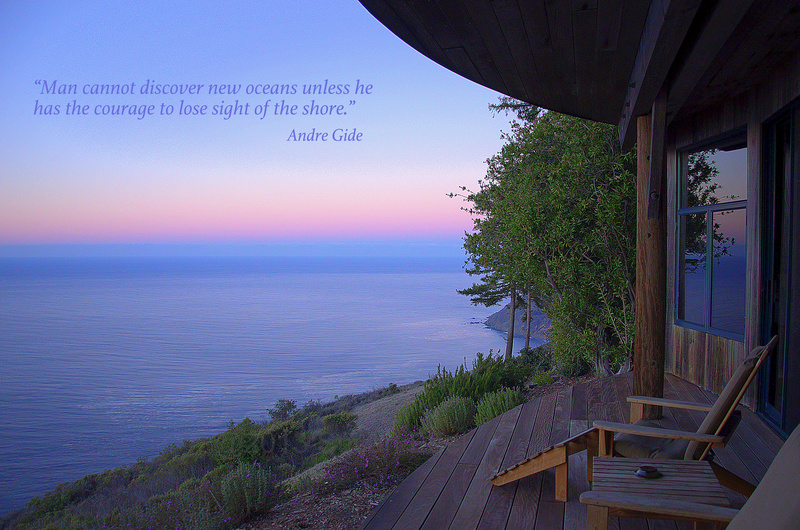 Of Pebble Beach’s three properties, The Lodge is the only dog-friendly property. Breakfast: A light breakfast (pastries, oatmeal, yogurt) is included daily during your stay and delivered each morning to your room. If you want a more substantial breakfast, you can order additional items such as bacon and eggs for an extra cost. Upon check-in, you are asked what items you would like to order and what time you want it delivered. To be honest, my immediate thought was “I’ll be calling the front desk wondering where my breakfast is each morning”…but not so! Breakfast was delivered each morning at exactly the time I requested it. Just another example of the impeccable service! 24 Hour Room Service: Always available. Roy’s: Roy’s located at The Inn at Spanish Bay is one of my favorite spots (of anywhere I’ve been!). Celebrity Chef Roy Yamaguchi has mastered the Hawaiian-fusion dishes served here. The menu is fresh and unique to the other restaurants located in Pebble Beach. A personal favorite is the Macadamia Nut Crusted Mahi-Mahi along with their signature Champagne cocktail. Yum! 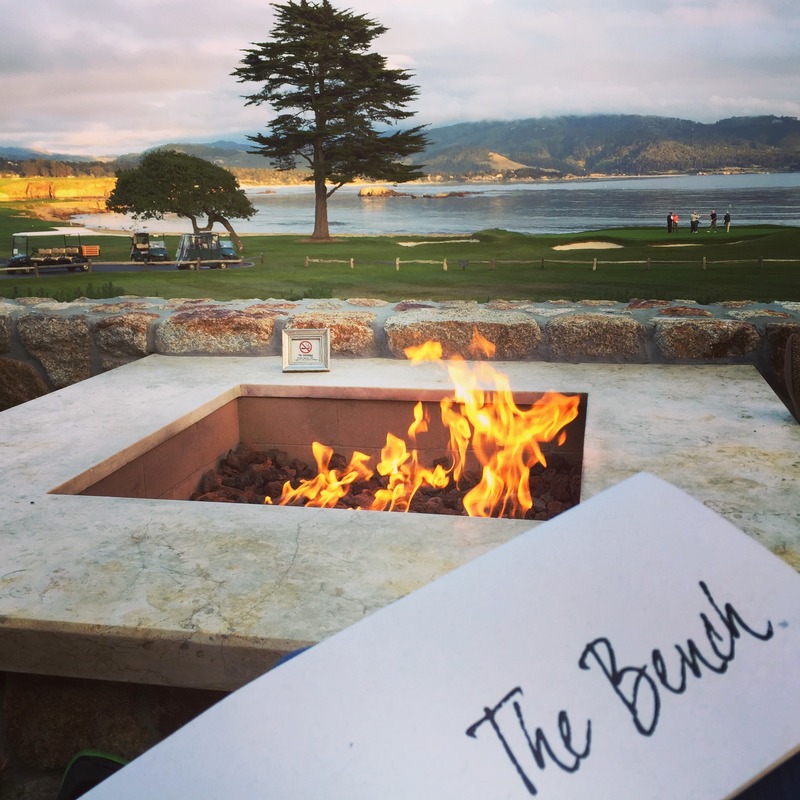 Beach and Tennis Club: All of the Pebble Beach Resorts’ restaurants are open to the public so you do not have to be a guest of the resort to dine at them; however, the Beach and Tennis Club is a private club only accessible to members or resort guests. It is definitely worth a visit to come see this club and have lunch in the large dining room with vaulted floor to ceiling glass windows. The view is spectacular. They have done a great job in general with the Club in creating a vintage, old school feel here that is so inviting. The Club not only has the gorgeous dining room but also offers a large crystal blue pool, nice patio with a huge outdoor fireplace and the fitness club (for all guests use), all overlooking the stunning water view. Outdoor activity rentals such as bicycles and kayaks are also available here. 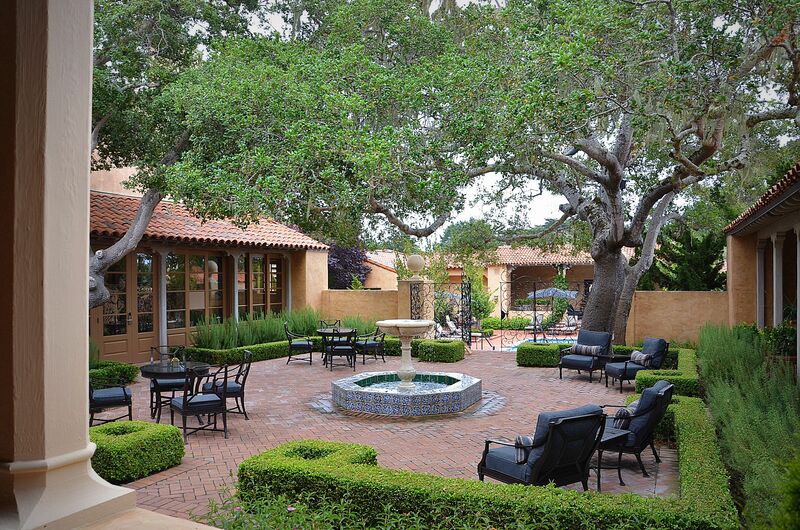 Another convenience of Casa Palmero is its location right next door to the Forbes Five-Star Rated Spa at Pebble Beach. This full-service spa is located in a beautiful 22,000 sq. ft. facility offering a variety of signature and specialized treatments. Guests of any Pebble Beach Resorts’ property are able to use the facility during their stay at no cost which includes the indoor whirlpool spa, sauna, steam room, and inhalation room. Utilizing these amenities is a tranquil way to start or end your day. 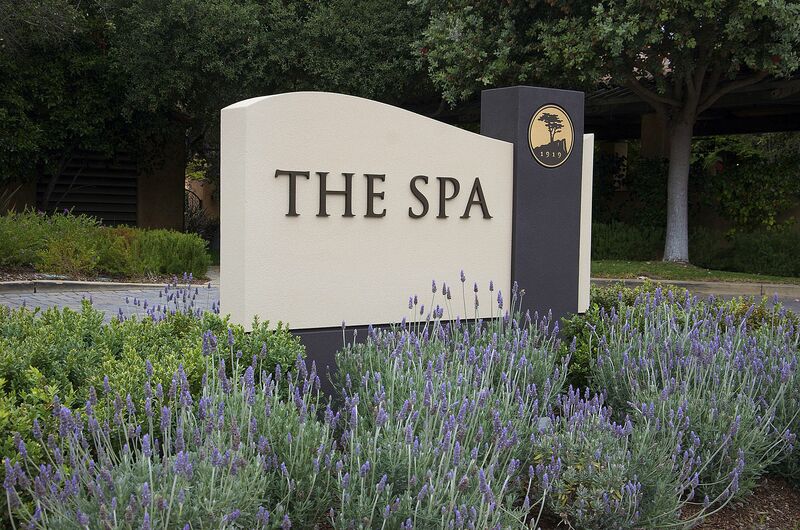 The spa is open to the public so do be sure to make reservations if you want a treatment during your stay. Spending some time at this spa is an amazing enhancement to your overall experience at Casa Palmero. Do I even need to address this? (smile) Pebble Beach Golf Links is the #1 Public Golf Course in America. It’s probably every golfer’s dream to play this course at least once. As most people know, this course is also host to the annual AT&T Pebble Beach National Pro-Am, the world’s premier PGA TOUR pro-am that brings the community, professional golfers and celebrities alike together for charitable causes. But keep in mind, this is not the only course within Pebble Beach, there are several other public and private courses including Spyglass Hill Golf Course, The Links at Spanish Bay, Del Monte Golf Course, and Peter Hay Golf Course. 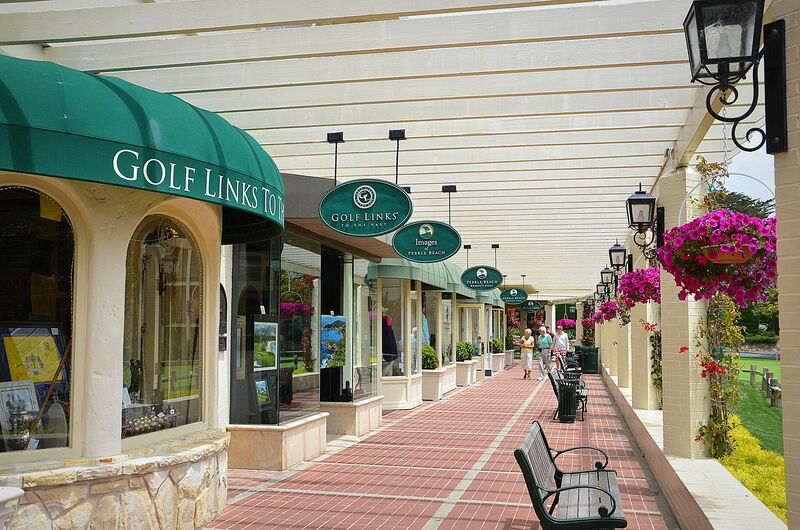 A golfer’s paradise! So you say you’re not the best golfer…not a problem, welcome to the Golf Academy! Let the Golf Academy staff members show you how to improve your game through their many state-of-the-art innovative technology processes and let them bring out the best in you and your golf game. 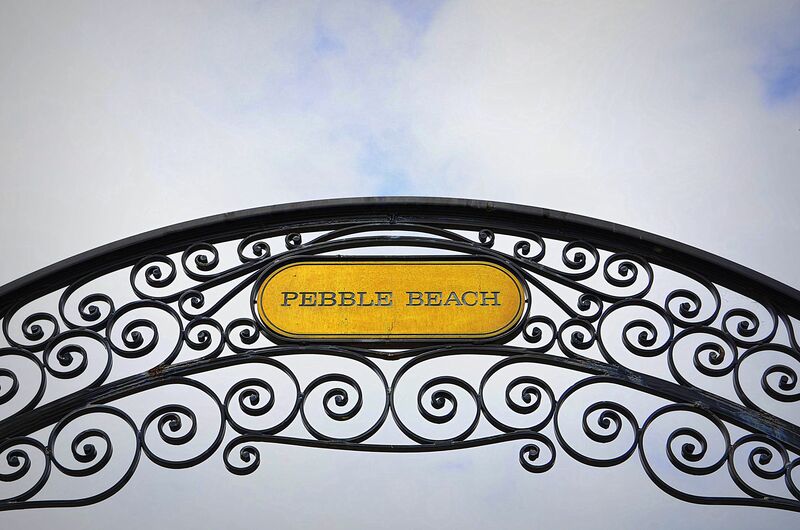 Pebble Beach offers a bevy of unique, boutique-style stores for your shopping pleasure. Shop for resort wear and unique gifts to your heart’s content here. Even the grocery market is fun to shop with a huge selection of wines…so don’t forget that credit card! Okay, so you still want more you say? Not a problem, I’m not done! Here are a couple little known secrets I’ll let you in on. In the late afternoon after the last tee-off, the golf staff will let you check out a golf cart at no charge and let you ride around the entire Pebble Beach Golf Links. You don’t have to be a golfer to appreciate this. I did it and thoroughly enjoyed riding around the meticulously manicured golf course in the beautiful sunshine with the stunning backdrop of the Pacific Ocean while viewing the incredible multi-million dollar homes along the way, not to mention spotting all the wildlife that roams around. It felt like such a special treat without having to pay the $495 golf course fee! 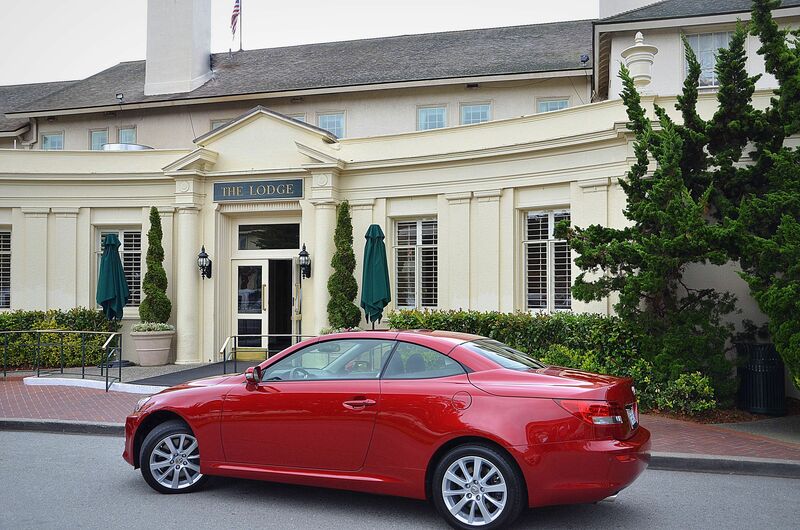 Another fun activity is to reserve two complimentary hours in one of the Lexus test drive vehicles on property. I reserved the convertible model and drove the 17-mile loop. Let me tell you, there is no better way to see the stunning homes and all the beauty of Pebble Beach than in a convertible! The resort also uses these vehicles for complimentary guest transportation between resort facilities. And if all of the above is still not enough, I have yet another option ~ The Equestrian Center. What better way to really soak up everything Pebble Beach has to offer than to enjoy it riding a horse. Join a guided group and ride to Indian Village or if you’re not so comfortable on a horse, take a lesson or just visit the horses in their stalls. In addition to the AT&T Pro-Am, Pebble Beach is also well-known for some of its other annual events such as the Pebble Beach Concours d’Elegance Auto Show featuring the most beautiful classic cars in the world and the Pebble Beach Food & Wine premier epicurean lifestyle event, matching 250 acclaimed wineries and 100 celebrity chefs. Well, I’m not quite sure how I can remain impartial here as Pebble Beach is one of my most favorite places in the world. The beauty and decadence of this community is unsurpassed and with all it has to offer, you will never find yourself bored here…and I didn’t even begin to venture into the surrounding cities and all the amazing things they offer as well. I’ll end this by saying, if you ever want to experience what it’s like to be a celebrity and experience the lifestyle of the rich and famous, Casa Palmero and Pebble Beach Resorts will make you feel that way. The impeccable service from the warm and friendly staff at Casa Palmero, excellent culinary choices, incredible array of activities, and the most beautiful scenic location you have ever seen will leave your heart full…and longing for more!